In this scenario you need to validate that the user enters in a valid US state in its 2 character format. In previous versions of CRM you would normally just add a picklist with all the valid values but the new composite control in CRM 2013 does not allow this so this validation formula is very useful. 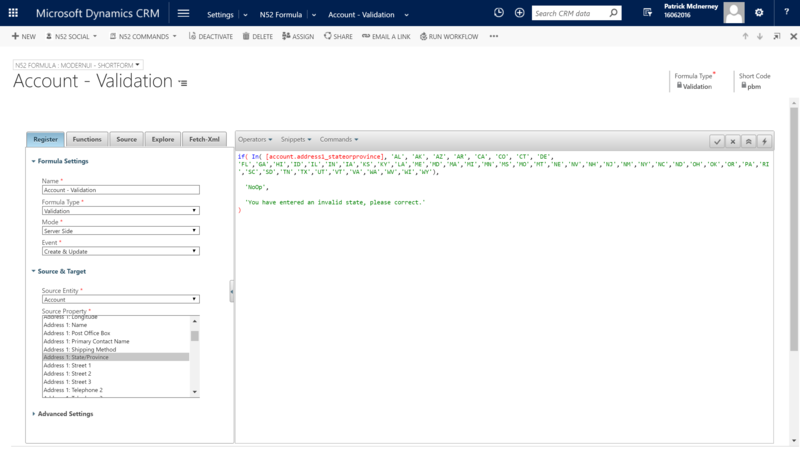 Note that as we are running this formula server-side this validation rule holds true for data imports, custom API code that may be inserting or update the account record or any workflows, dialogs or actions that may run.